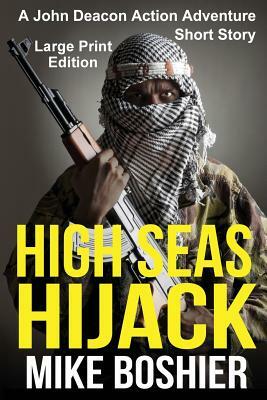 It’s 2010, and pirate attacks around the Horn of Africa are at their height. The West has yet to start sending naval escorts to protect the ships and freighters that ply the sea lanes along this dangerous coast. The US President is worried, though. He wants to protect US shipping. A Presidential ‘Black’ Executive Order is released, and a small contingent of US Navy SEALs are placed on key US ships traversing the area with orders to repel borderers at all costs. The use of extreme force is authorised as a final option, but these missions must be kept secret. The public won’t accept the blatant murder of pirates so only ships where the captain and crew sign a secrets declaration will be protected. Newly promoted Navy SEAL Lieutenant John Deacon leads a small team of dedicated warriors determined to stop the pirates in their tracks, but the pirates soon learn of the defenders and up the stakes. Can Deacon and his team stop the pirates and protect the ships while keeping their mission secret?